-Every Other Weekend- It’s not just the weekends anymore. “Standard” visitation is a term thrown around by lawyers and the Courts, but there is no such thing in Mississippi. Having said that, Judges do have a standard visitation schedule. Confused yet? Standard visitation is thought of as every other weekend, from Friday at 6:00 pm until Sunday at 6:00 pm. It includes Wednesday afternoons from 4:00 pm to 7:00 pm during those weeks a parent does not have weekend visitation, and 4 weeks in the summer (non-consecutive), and alternating major holidays. One of the most difficult things to explain to a divorcing parent who will no longer be living with their children is that they may not be able to see the children anytime they want to. This is disturbing to me, to them and it should be to the Courts. That just because a mom and dad are getting a divorce that they can no longer live with or be with their children a substantial amount of time. I encourage generous and liberal visitation. I encourage joint custody, but acknowledge there are circumstances where it is not best. Also, there are some parents that don’t want it. Every other weekend is fine. The parent can work and go out and have a life and then have a fun weekend with the kids, while the other parent is harping on them about grades, homework, bedtime and being well-behaved. It seems there is always a “Disney Dad,” that has elaborate trips and fun planned for his weekend, while the full-time mom is making egg-carton planters, explaining the wonders of growing bell peppers from seeds. So what do you do? Be reasonable. Look for ways to allow the other parent to actually parent. Click here for the best thing you can do for your child! If you are on the receiving end of every other weekend, seek more. Ask for it. There is a trend in the law where non-custodial parents, usually dads, are getting more time. In fact, in Rankin County Mississippi there is a judge who regularly awards every other weekend, but defines it as Wednesday to Monday every other weekend. The pick-ups and drop-offs are at school. There is less opportunity for mom and dad to have contact and typically less conflict. It affords a non-custodial parent a lot time. This may not be right in every situation, but it is better than the alternative, usually. 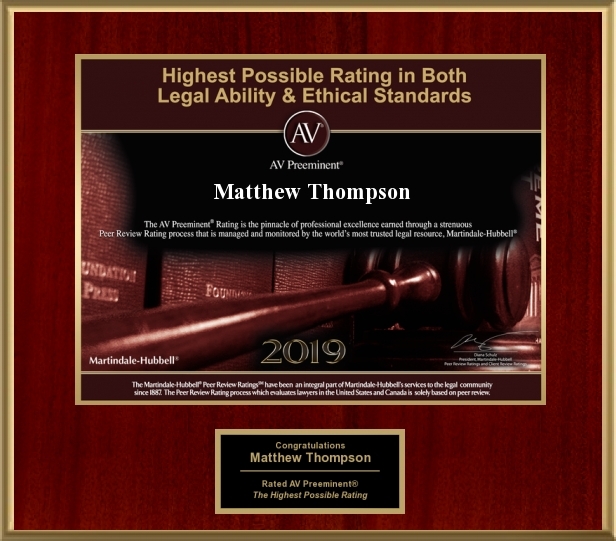 Matthew Thompson is a family law attorney in Mississippi and thinks parents should continue to be parents even if they are no longer living together. Thanks, Ryan. I appreciate your comment and feedback.